Aliso Viejo homes are situated in one of Orange County's most desirable communities with stunning views of canyons, mountains and valley terrain. 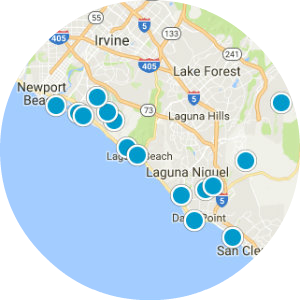 The neighborhood is located beside the gorgeous Laguna Coast Wilderness Park and Crystal Cove State Park. Master-planned to include the ideal balance between neighborhoods, schools, parks, services and businesses, Aliso Viejo is the perfect place to live, raise a family and retire. Aliso Viejo has been repeatedly ranked as one of the safest cities in the United States, a fact that is reassuring to all property owners in the city. Property in Aliso Viejo enjoys varied architecture styles and includes single-family homes, estates, condos, apartments and townhomes. The city streets are well maintained and expert landscaping has beautified every neighborhood. Real estate in Aliso Viejo has always been in high demand, requiring the city to implement lotteries and waiting lists during its initial phases of construction. There's a reason that Aliso Viejo is constantly winning awards as one of the best towns to live in. The growing city is known for premium public schools, quiet surroundings, first-rate landscaping and a myriad of outdoor activities. Residents have easy access to the Orange County Trail system, an extensive network of parks and pathways. A range of recreational activities including golf, tennis, surfing and cycling appeals to families and Aliso Viejo home owners. On rainy days, there are a number of excellent recreational facilities, shopping malls, theatres and restaurants for indoor entertainment. Like many Orange County cities, Aliso Viejo offers an upscale lifestyle in extremely pleasant surroundings with an endless variety of opportunities to experience the good life. 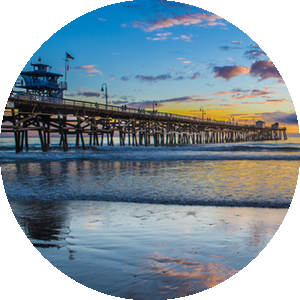 Aliso Viejo enjoys a well rounded roster of community services including: recycling and trash pick-up, public safety enforcement, street maintenance, libraries and social activities. The city is home to the headquarters of many large corporations, offering steady and profitable employment opportunities. A finely tuned network of public and private organizations throughout the city help to ensure that Aliso Viejo runs smoothly and its citizens prosper.